I Just love this guy or girl…this looks like a very healthy bear enjoying a bit of contemplation. In this painting, I was attempting to paint in a looser more impressionistic style. I used a 6×6 piece of gesso board which is a very smooth surface. It can be tricky to paint on when you first try it, but I think it lends itself nicely to leaving clear brush strokes. This is part of the look I am going for when I refer to impressionism. I am not trying to paint the bear’s hairs, but rather an overall fur coat. 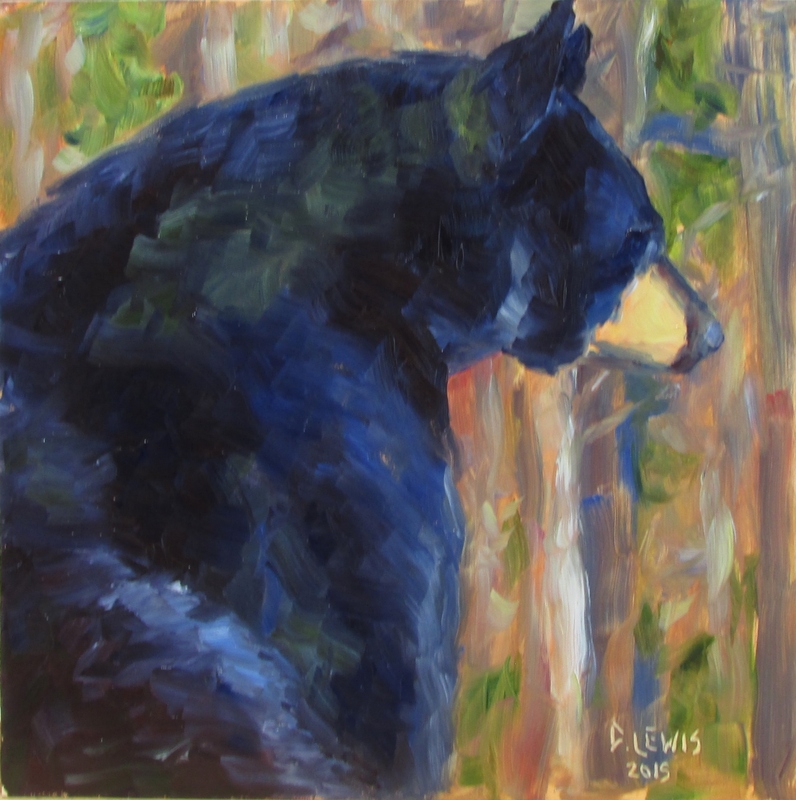 This entry was posted in animals, oil painting and tagged animals, bear, oil painting, woods by Artwithmycoffee. Bookmark the permalink.